USA – Buffalo - For several years, teams of University at Buffalo archaeologists from the Buffalo Archaeological Survey have conducted digs in downtown Buffalo along what was the Erie Canal. The artifacts they've found, when considered together, help describe how Buffalonians lived and worked from the early 1800s onward. This summer, they're conducting a "public outreach dig" under the Skyway. "We're in the early stages of excavating this dig site," he says, " but previous digs we've conducted nearby have uncovered pipe stems and other personal items, dinner plates, commercial objects, a lot of brick and mortar, coal dust and ash, and something that could be a cannonball or part of a ship's ballast. We will probably find similar items and even may find a few surprises." During much of the 19th and 20th centuries, Buffalo was a major international industrial and grain transport city, largely because of its waterfront and the Erie Canal, which cut a swath through what are now downtown streets. "The canal was right downtown, so there was a great deal of commercial activity along this stretch of the waterfront for the better part of two centuries," Montague says. INDE – Rajaghatta - The Directorate of Archaeology and Museums (DAM) has sought permission to take up a year-long excavation work at Rajaghatta to establish its importance as a unique Buddhist settlement in the state. Situated about eight km Northeast of Doddballapur near Bangalore it is said the Buddhist sect who built the Rajaghatta ‘Chaitya’ (shrine) belonged to the Mahayana group, said M S Krishna Murthy, former professor and chairman, DoS in Ancient History and Archaeology, University of Mysore. The remains found at Rajaghatta is expected to open up a new chapter in the history of Buddhism in Karnataka, said Murthy, who would lead the excavation work. Earlier explorations conducted during 2000-01 and 2003-04 at Rajaghatta had yielded antiquities that could be connected with Buddhism. It appears that the chaitya complex at Rajaghatta got ruined during the end of 6th century AD. The structure was ransacked for building materials. The deserted religious place of the “Nirgranthas” (heterodox people) became the burial ground of the Hindus. Thus ended the long and glorious period of three centuries of Buddhism at Rajaghatta, the report said. The chaitya and vihara complex has a special type of layout at Rajaghatta. Construction of the chaitya and vihara was not an unknown tradition. Beautiful and big, about two metres high, sculptures of seated Buddha, carved in stone are noticed at Deganur in Dharmapuri district of Tamil Nadu, adjacent to Kolar district. The present town of Kallya, Magadi taluk, near Rajaghatta is known to have been a Buddhist settlement. In the light of these evidences, it is necessary that we redraft the history of Buddhism in state, said Murthy. CHINE - Xisha Islands - Chinese archaeologists have discovered 12 new sites containing ancient relics under the waters around Xisha Islands in South China Sea. However, most of the sites have been robbed and left severely damaged. The survey team discovered the sites around 400 kilometers out to sea. So far, the archaeologists have already collected various cultural relics from the depths, including porcelain, pottery, glazeware and even boat decks. The newly discovered relics are believed to have come from ships that sank over the course of a one thousand year period ranging from the late Tang Dynasty to the Qing Dynasty. The discovery team say they will continue to safeguard the relics from damage and theft. China is planning to step up efforts to safeguard its coastline, from the Bohai Sea in the North, to seas around the Xisha and Nansha Islands in the South. 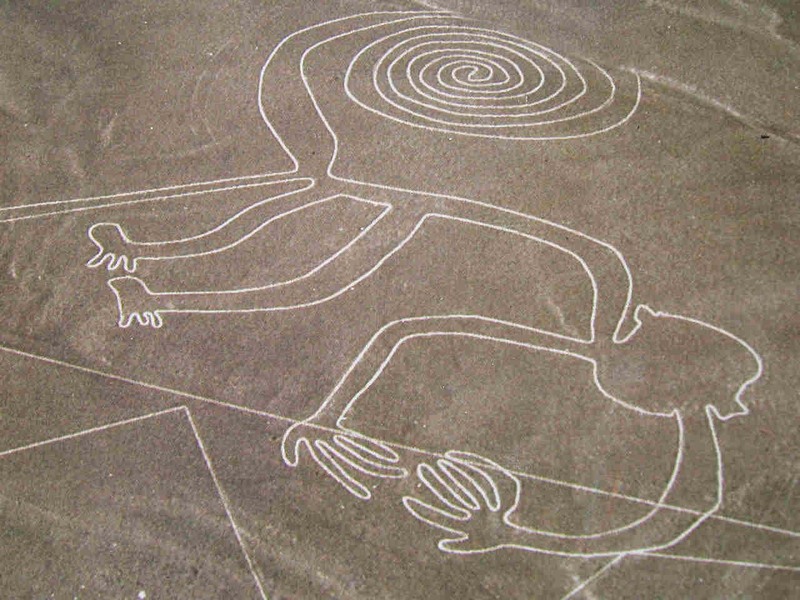 PEROU – Nazca - Squatters have started raising pigs on the site of Peru's Nazca lines - the giant designs best seen from an airplane that were mysteriously etched into the desert more than 1,500 years ago. The squatters have destroyed a Nazca-era cemetery and the 50 shacks they have built border Nazca figures, said Blanca Alva, a director at Peru's culture ministry. She said the squatters, the latest in a succession of encroachments over the years into the protected Nazca area, invaded the site during the Easter holidays in April and that Peruvian laws designed to protect the poor and landless have thwarted efforts to remove them. In Peru, squatters who occupy land for more than a day have the right to a judicial process before eviction, which Alva said can take two to three years. "The problem is that by then, the site will be destroyed," she said. She said she counted 14 pig corals in a recent inspection that also revealed broken bits of Nazca ceramics. USA – Plymouth - A fragment of a tamarind jar, an unglazed piece of reddish-brown ceramics, and a gray Native American pestle are some of the discoveries that could bring a new distinction to this most historic of historic American towns. 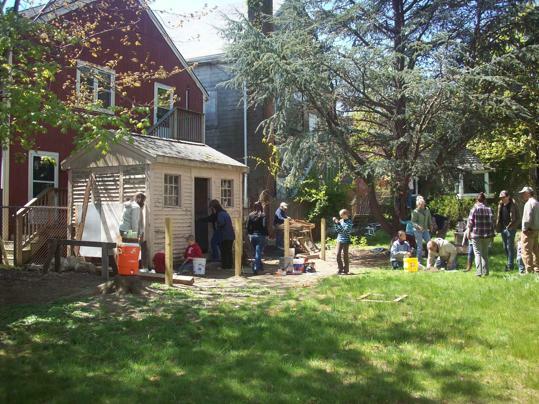 An excavation this summer in a small shed and nearby grounds on North Street has yielded more than 30,000 artifacts dating back 1,000 years. But the prized finds have been the bits and pieces that “might point to an African origin and [dwellers’] desire to maintain a physical, spiritual, and mental connection with their origins,’’ said archeologist Craig Chartier. “There is very good evidence of slaves at the site . . . but I would need a lot more evidence of African folkways and African-influenced material culture artifacts, as well as the probability that after exhausting all possibilities, it couldn’t be anything else,” said Chartier. That confirmation could come as early as this winter. 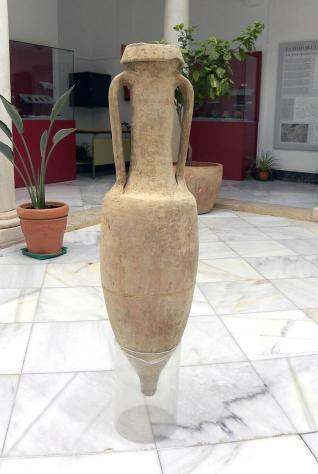 ESPAGNE – Vélez-Málaga - The Amphora has been lost for years, but was found again in 1960 before being forgotten again. Archaeologists in Vélez-Málaga Town Hall have discovered a Roman Amphora, dating from the first century. What’s more the experts say it’s still full of wine which they think is in ‘perfect conditions’ because the vessel is hermetically sealed. The Councillor for Culture and Heritage in Vélez-Málaga, José Antonio Fortes (PP), explain to journalists that the amphora was hermetically ‘sealed with resin and lime, and contains between 25 and 30 litres of a liquid which the municipal technicians think is wine. Destined to be part of the merchandise going from Hispania to Rome, the Amphora was left forgotten in Vélez-Málaga Town Hall, found in 1960 in the basements of the Beniel Palace, and then forgotten again in the municipal buildings.